Seminary is an excellent place to learn Doctrine and Church history and see God’s Hand of Providence throughout generations past. 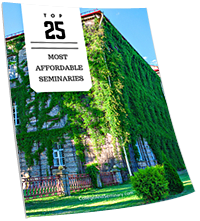 Seminary can be a place where a student’s faith and knowledge can be strengthened and increased, providing the opportunity to be a blessing to others in a congregation or similar environment. Seminary can be a crucible where false doctrine can be challenged and traditions of men be removed from a student’s tenets. 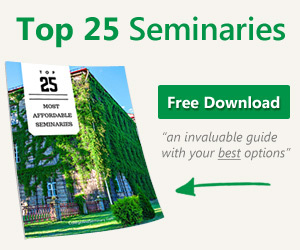 Seminary can also be a place where knowledge is transferred from instructor to student – to the student’s detriment. While 1 Corinthians 8:1 may be interpreted to be limited to knowledge of pagan practices and ignorance of Godly commands, it is not specifically limited by the text. Correlate Jeremiah 9:23-24 which says (in part) Thus says the Lord: “Let not the wise man boast in his wisdom… but let him who boasts boast in this, that he understands and knows me, that I am the Lord” This implies that there is a tendency to boast in wisdom. On any college campus, you can find the unofficial department of Self-Importance that offers majors in Arrogance. The fact that knowledge can lead to pride is not news. The serpent in Genesis sought to ‘correct’ a lack of knowledge in Eve’s mind – that there was more to be known about the forbidden fruit. From that point, Man’s greatest desire has been for autonomy – to be the one in charge and possess all knowledge. Pride is insidious in its manifestation in the spirit of man. It will pop up in unexpected places (like Seminary!). The logical question to ask, then, is “how do I avoid the trap of pride as I gain knowledge and understanding?” Or, the more culturally relevant question is “how do I maintain my faith in my Savior as I increase my knowledge of Providence?” The Western culture has increased in knowledge and technology and has ‘outgrown the need for God’ in favor of self-sufficiency. This attitude can permeate higher education – including Seminary. The impact of American post-Modern (sometimes called ‘post-Christian’) thought is tremendous, and the largest change of attitude is to one of swelling pride for advancements in technology and general knowledge. All of this amplifies the idea in 1 Corinthians 8:1 that knowledge puffs up (with pride). 1. Love not only covers a multitude of sins, it guides our attitude toward others. The love we need to have is not condescending but compassionate. Empathy is a strong companion of love for one another. As we are called to emulate Jesus Christ, we are to embrace His attitude toward others – Jesus never condemned humble or ignorant people; He railed against proud people (see Matthew 23). As you seek to learn in order to teach, influence and shepherd people, keep the attitude of Christ. No good shepherd hates his sheep, but cares for them and helps them through their times of weakness and vulnerability. In the same way, keeping a tender heart toward others will help keep pride at bay. 2. The tender heart you keep must also be filled with gratitude that the Lord has first forgiven your own sins and seen fit to use you (even YOU) for His purposes. Always remember that God does not play favorites (see Romans 2:11), therefore you should always be thankful that He gave you something that He could give to anyone He chooses. Remembering that simple fact will help keep pride away, also. 3. The first two elements above combine to form the third – a proper perspective of Truth. You were born in sin; you rebelled against God and His law; you are undeniably guilty in His holy sight; yet by His perfect work you stand exonerated and righteous. The sin, rebellion and guilt are still visible; you have righteousness covering you. The elements of the Ark of the Covenant were pictures of Israel’s rebellion against Jehovah: broken tablets (rejection of God’s Law), Aaron’s rod (rejection of God’s authority) and a pot of manna (rejection of God’s provision). Yet all those elements remained in the Ark even as the High Priest covered the lid (the “Mercy Seat”) with the blood of the sacrifice. They weren’t magically transported away, they were covered over by the real blood of the sacrifice – just like our sin, rebellion and guilt are only covered over by the metaphorical blood of the perfect sacrifice in Jesus. 4. The final step is true humility that stems from the first three items. Recall James 4:6b (“God opposes the proud, but gives grace to the humble”) and Micah 6:8 (He has told you, O man, what is good; and what does the Lord require of you but to do justice, and to love kindness, and to walk humbly with your God). It is humility stemming from love, gratitude and proper perspective that pleases God (see Matthew 18:3). God loves and blesses humble people – and humble people do not often fall victim to pride.